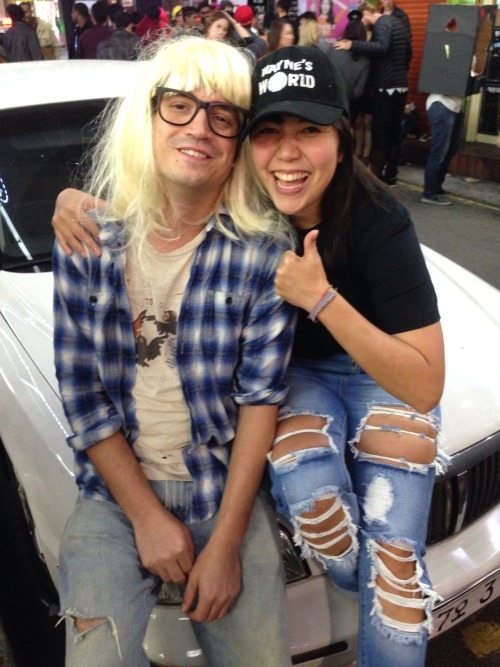 Boyfriend and I were Wayne’s World movie characters, Wayne Campbell and Garth Algar, for Halloween 2015. Best part of the night was “We’re not worthy”ing someone. We were met with respectful nods or cluelessness. Participated in a disorganized bar crawl which led to a bit of confusion but a lot of drinks and shots. Good night.